Yao Ming, global humanitarian, vintner and retired NBA star, has launched a new Collectors Circle club to provide members with exclusive access to his portfolio of limited Napa Valley wines and VIP benefits at his Yao Family Wines hospitality center in Napa Valley. 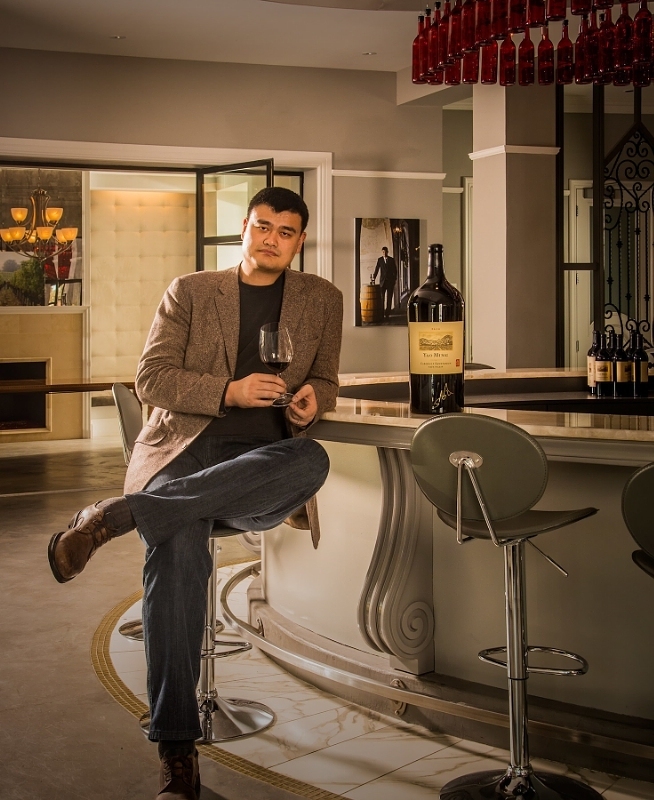 The Yao Family Wines Collectors Circle Gold and Silver memberships provide access to the limited Yao Ming Family Reserve Cabernet Sauvignon, available only on allocation, and an array of additional membership benefits. “We’re pleased to welcome our loyal supporters and their guests at our new hospitality center. We created a private Collectors lounge to welcome our members while they enjoy our wines and first class Napa Valley hospitality,” said Yao Ming. Gold Tier Members receive two bottles of the Yao Ming Family Reserve Cabernet Sauvignon for their fourth shipment, along with an exclusive allocation for additional bottles. • 15% off all wine and merchandise. • Shipping charges included on all case orders. • Guaranteed additional allocation of Family Reserve Cabernet Sauvignon. • Exclusive invitations for Member and a guest to Yao Family Wines events. • Complimentary Reserve Tasting for Member and three guests, twice per year. • Exclusive access to the Club Member Lounge for Member and guests. Silver Tier Members receive one bottle of the Yao Ming Family Reserve Cabernet in their fourth shipment. Additional allocation of Family Reserve Cabernet is only available to Gold Tier members. • 10% off all wine and merchandise. • Complimentary Access Tasting for Member and three guests, twice per year. Collectors can join online or at the Yao Family Wines hospitality center, open seven days a week 10 am to 5 pm, 929 Main Street,St. Helena, California. Private appointments and walk-in tastings are available. Guided tastings are available in Mandarin. Call 707-968-5874 or visit http://www.yaofamilywines.com.